When a fire drill situation arises, the hospital’s fire warden will assist employees for evacuation and inspect all stages during the evacuation process. To make sure the patient caring process is not interrupted, the fire drill does not include Inpatient Department. 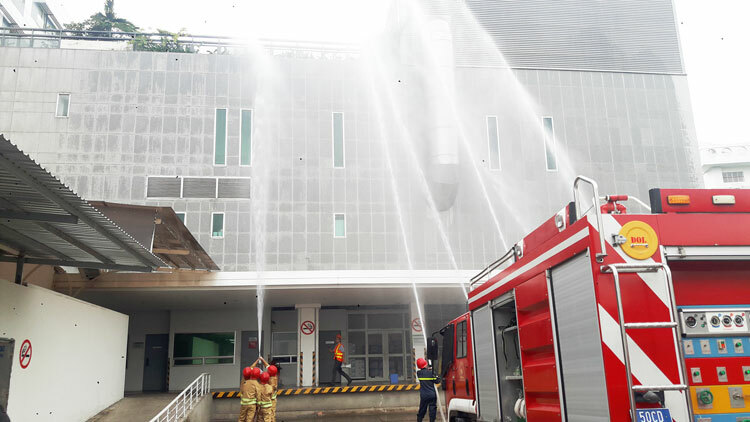 The program was coordinated by the FV Hospital fire warden and the Quality Management Department, with support from Facilities Department in cooperation with District 7 Fire Police Department. The fire drill’s goal is to help the hospital’s fire warden train their quick response to potential fire situations, minimize the loss of life and property and therefore, raise awareness, responsibility of each employee in the implementation of fire prevention’s regulations.